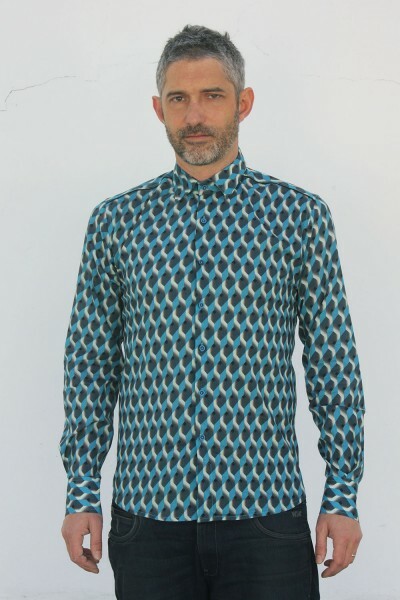 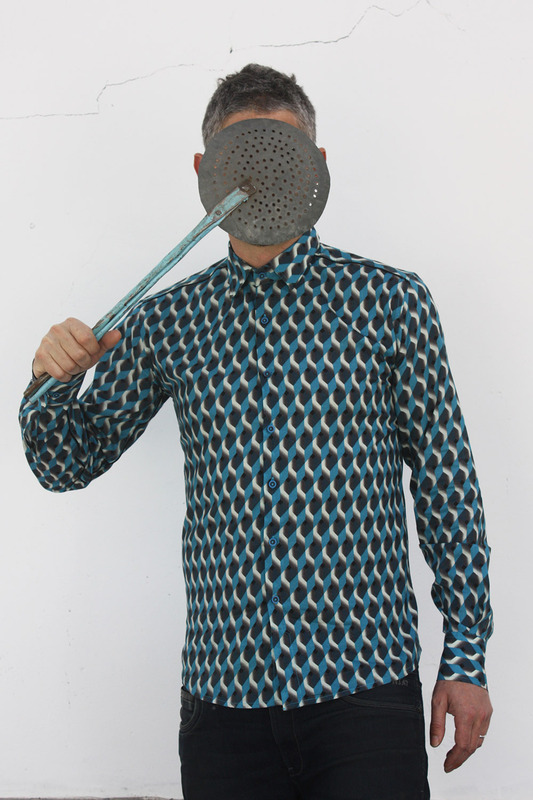 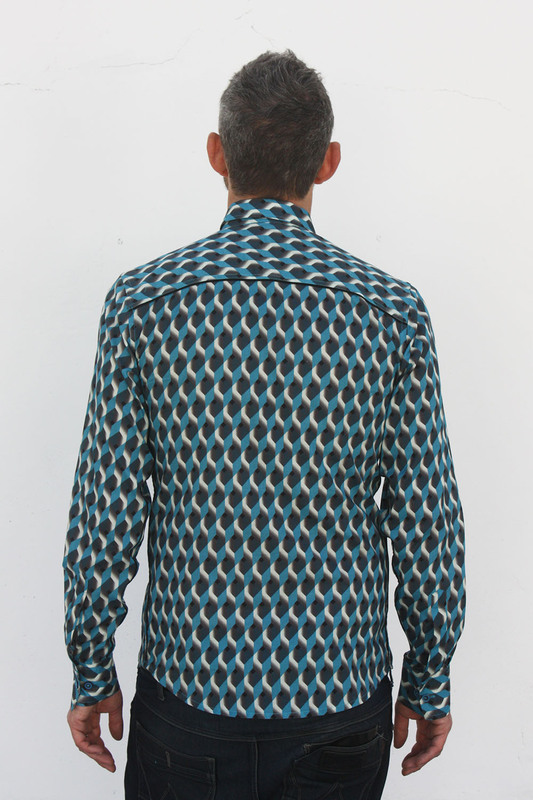 Graphic button up shirts, made out of light cotton. 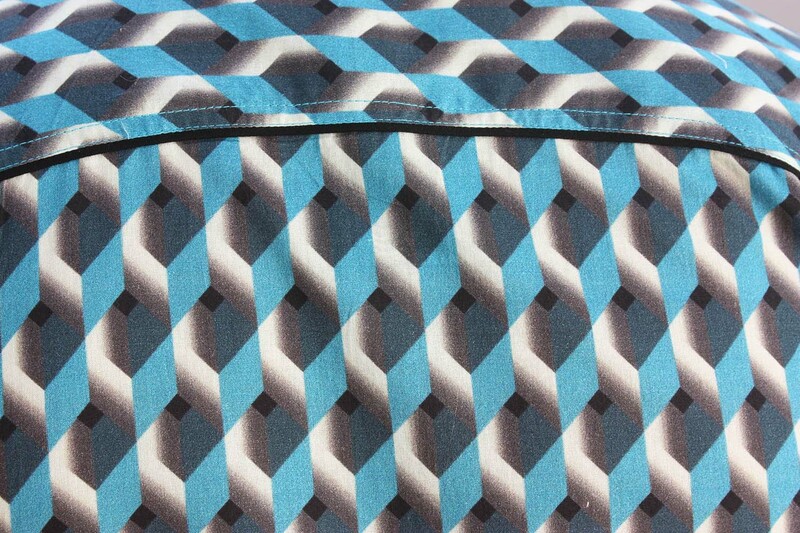 Teal blue, steel gray and black cube pattern. Shoulder and collar lining with coordinated stripes.